One of these days i’m going to just get a talk box and become Roger Troutman and drop some really beautifully vapid loves jams all over the ground. Zapp is great in the summer time. I love running to some Roger jams. It’s a tech kinda week. We have a few communal instruments that we have bought as a band over the years. This is one that has been all over the place. It’s seen many US shows, East and West Coast, and even to the UK ( TWICE! ). You should have seen the insanely ugly power adapter from European to US power duct taped to the awful moog wall wart. We probably went through 3 of those crap power supplies over the years as they always get munched on stage. I guess thats why everyone eventually does the internal power supply mod for the Moog Rogue. I marked the screw holes for the transformer on the bottom plate first. The placement is important because it’s heavy and i wanted to keep the instrument balanced without the transformer being too close to the back panel or the keyboard resistors. I bought a set of stepped drill bits to get the right sizes for the mounting hardware and the IEC/Fuse jacks. I never had these before and they are wikkid! Here’s the transformer mount holes getting drilled out. Notice the exposed circuitry of the keyboard assembly to the left! Looking good so sar. The transformer i picked outputs only 24VAC and is readily available as it is used for alarm systems and door bells. It’s heavy! Well, the transformer is looking good! Lets tighten it down. Here’s the part i was worried about. Cutting the case was scary to me and it’s why i put this off for a long time! I got a nibbler for this project and i can’t believe i never had one before! He is getting full of nibbling. OMG, the IEC jack fits! And so does the fuse. Because it’s meant for building installations the output side of the transformer has terminals. I wired the 24VAC side to the jack position on the main PCB. Not only may it be the poor mans terminator! It has possibly the best movie description i’ve ever seen, ” Inspired by a short story in 2000 AD, the movie depicts the rampage of a self-repairing cyborg in a post-apocalyptic slum. 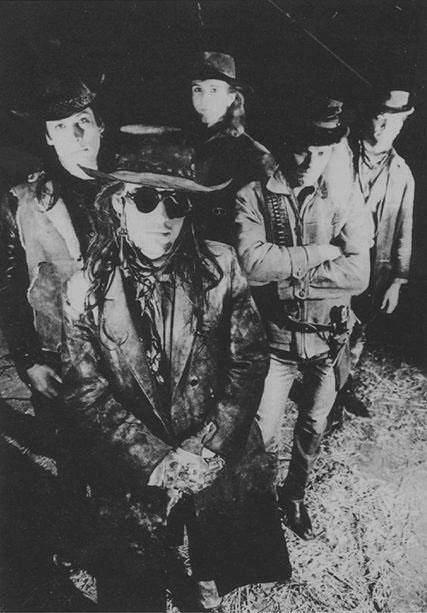 ” The bonus being cameos by Lemmy, Iggy Pop, and Carl McCoy, famed weirdo and singer of Fields of the Nephilim. Such a weird sleeper of a band. 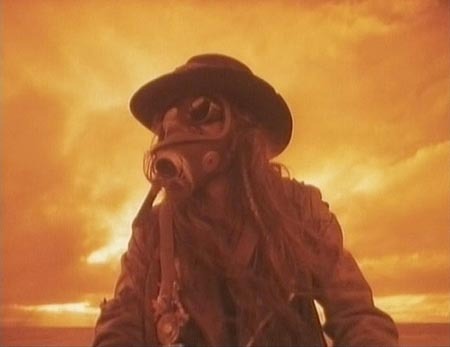 The awesome thing about Carl’s cameo is that he is playing a mysterious post apocalyptic scavenger in this crazy desert / spaghetti western outfit and that’s how he actually dresses! PS: the post title is one of Iggy Pops lines from the film. he’s a radio DJ overheard in the cab driven by Lemme. Desrcibing the weather no less! PPS: I couldn’t leave ou without a gif!